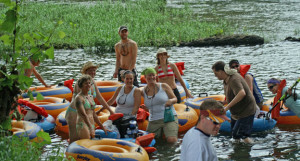 Get an early start so that you are here with time to get ready for your day on the Shenandoah. We have 9:30, 10:30 and 11:30 arrival times. 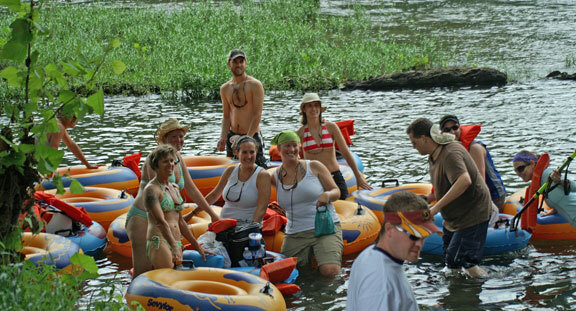 Noon is our last departure for the River for tubing. To get ready for the river, unload your gear at the Outfitters, then park in the lot 200 yds back. Sign up and then get your life jacket, have your cooler with you but leave all valuables in your car. We keep car keys for you. You do not want to loose them in the river. We will transport you to the River which is a short drive to the tube put-in. 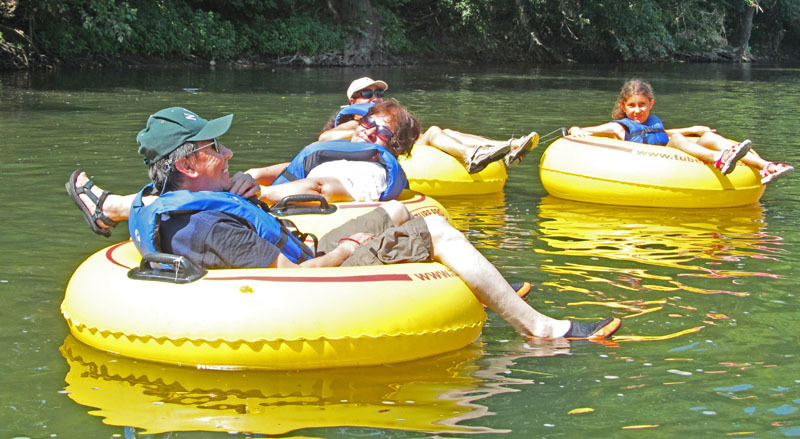 There you will get your tubes (if we did not have you get one at the Outfitters), tie in your cooler in a cooler tube, and then enjoy your float trip down the beautiful Shenandoah. You can float along and eat lunch as you go. In the upper section, there is no public land where you can stop. If you are in the lower section, you can pull off right after Compton’s Rapid on the LEFT bank, to swim and picnic. It best to stay in the flow of the river and not get caught up in the slow-moving back water. Do be aware of your time on the river so you are at the pick-up point on time. 5 PM is the LAST PICK-UP time. Be sure of the pick-up time and place! At the designated pick-up landing, bring your tubes and gear to the parking area. Please don’t block the river or the road with gear, etc. We will meet you and bring you back to the Outfitters. At the Outfitters, do unload all your gear and your life jackets, etc. There is a shower house with hot showers for your convenience back by the parking lot. You might like to plan to have our Steak Dinner, too. Click here to get information on “Tubing and Steak Dinner”! Other links with River reservations and Directions. Remember the Sun screen and See you soon!